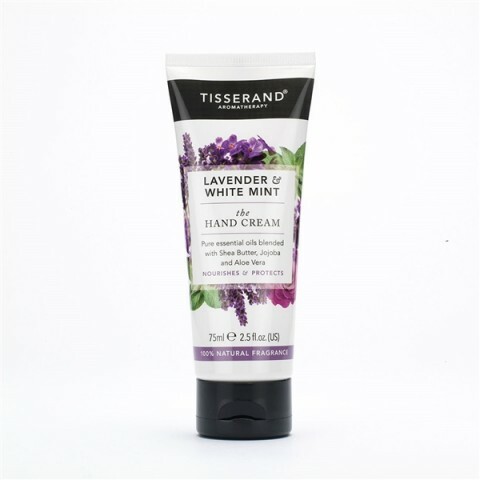 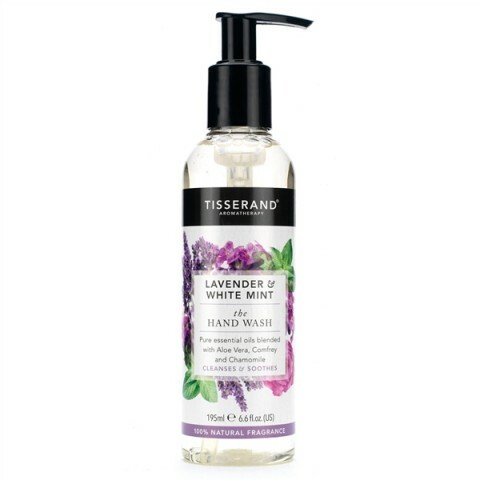 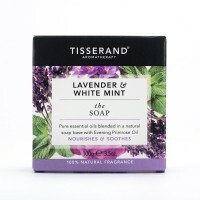 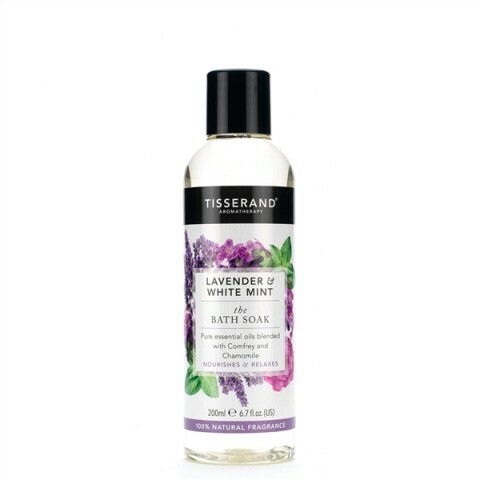 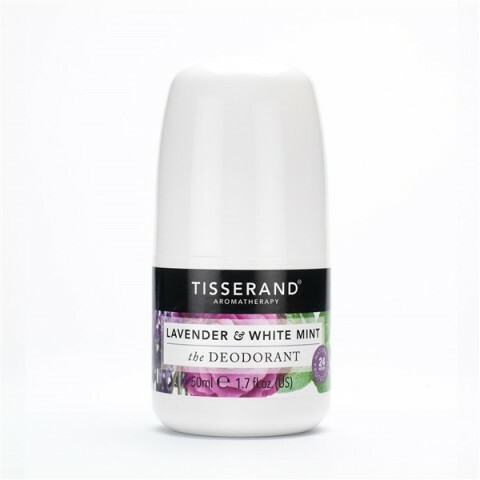 Tisserand Aromatherapy Lavender & White Mint The Soap expertly blends relaxing Lavender and balancing White Mint pure essential oils to calm the mind and quiet the senses. 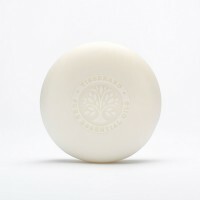 Combined with botanical extracts of Evening Primrose oil in a base of Coconut Oil this 100% naturally fragranced soap will soothe and calm the skin. Our calming Lavender & White Mint blend is expertly created using 100% natural pure essential oils, to soothe body and mind. Relaxing Lavender essential oil is combined with balancing White Mint to restore the senses and help unwind the mind, whilst the delicate fragrance of Rose essential oil complements the blend. 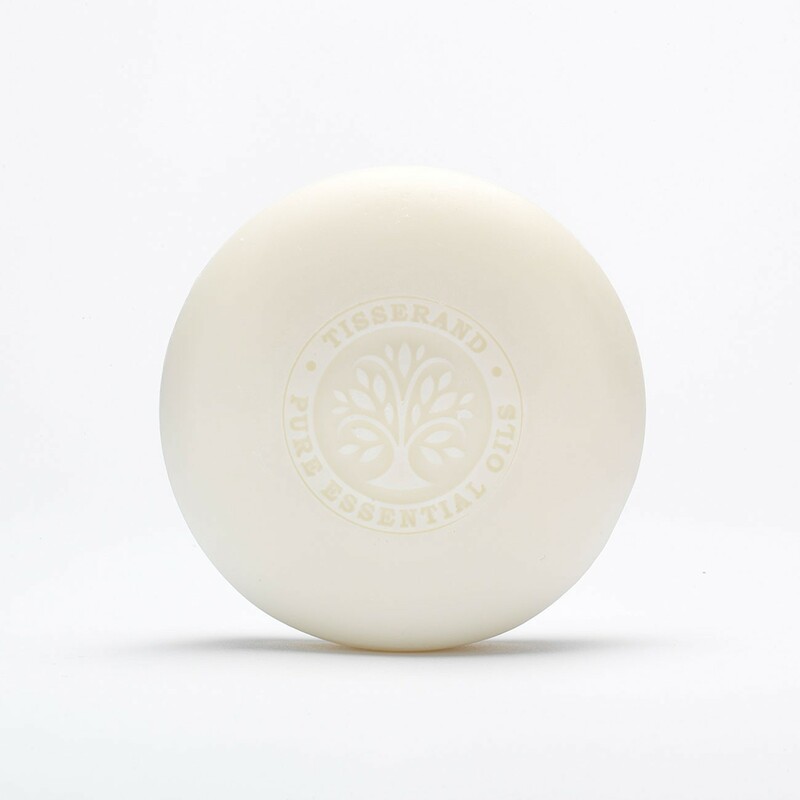 With additional botanical extracts of Comfrey and Chamomile, this blend will help to protect and soothe the skin with natural vitamins and antioxidants.